A a social media freak I can see the everyday increasing trend of rearing pets and adopting them by Pakistanis. Different societies and organisations are working in Pakistan to save pets and animals. They also try to find a better home for wandering cats and dogs. Here is a list of Animal Care Organisations and Facebook Pages & Communities that are working for animals welfare and they can help you adopting a pet. 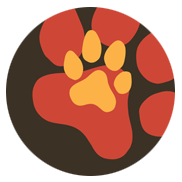 PAWS is a Non-Profit Organization working for animal welfare in Pakistan from 2004. PAWS mission is to create a more just and equitable relationship between humans and animals in Pakistan. Vets Care Organization (VCO) is a group of veterinarian and volunteer who are passionate for the better care, treatment and welfare of animals. VCO is dedicated to promote a caring and humane attitude towards all living creatures. VCO is committed to make Pakistan an ideal and cruelty-free environment for animals. Vets Care Organization also organises free vaccination for pets every year on World’s Veterinary Day.